"Bill Powers brings a crystal clear focus to the realities of future gas production and prices, and dissects the pervasive hype. It is a must read for understanding the risks of accepting conventional wisdom of eternal cheap energy on long term US energy security." "Bill Powers cuts through the deceptions of the natural gas industry's PR machine with a little bit of history—we've been here before!—and a meticulously researched survey of the current disturbing trends in North American natural gas production." "Bill Powers disperses the smoke and shatters the mirrors of a nation wishing itself to death. 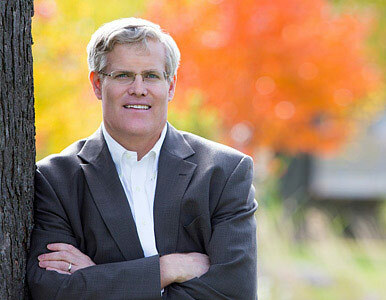 He lays out in lucid detail why shale gas is not the "game-changer" touted in Wall Street's propaganda mills and he is brave enough to draw conclusions that Americans desperately need to hear…"
"Everyone should be aware of Bill's work because it is going to change nearly all current expectations about energy in the US if he is correct." Does shale gas change everything? Will its development lead to U.S. energy independence and decades of cheap energy for America? While shale gas is undoubtedly an important energy source, its significance has been vastly overstated. 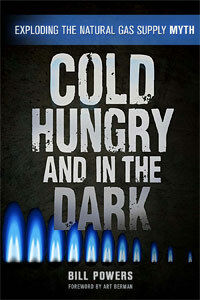 Unlike many of the energy pundits who put forward wildly optimistic and completely unsupported estimates of future shale gas recoveries, Cold, Hungry and in the Dark looks at the facts of America's supply of natural gas. "Bill Powers cuts through the deceptions of the natural gas industry's PR machine with a little bit of history—we've been here before!—and a meticulously researched survey of the current disturbing trends in North American natural gas production. Powers' step-by-step dismantling of the abundance myth ought to alarm policymakers, corporate managers, investors, business owners and concerned citizens alike. That alarm needs to translate into action along lines he suggests in order to meet the very real and daunting energy challenges we face."